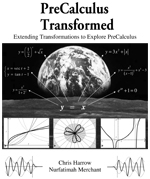 Pre-Calculus Transformed highlights the under-explored role of transformations in visualizing, interpreting, and understanding pre-calculus concepts. This text develops function composition to expand transformations far beyond constant translations and dilations. Students discover underlying patterns, bring out connections between otherwise seemingly unrelated ideas, and learn to more easily analyze problems that initially appear complicated. Overall, this text provides an interconnected and dynamic pre-calculus experience with a wide range of problems from basic practice to those requiring creativity, insight and meaningful connections. While Pre-Calculus Transformed integrates computer algebra system (CAS) technology throughout, its concepts can be grasped without a CAS. 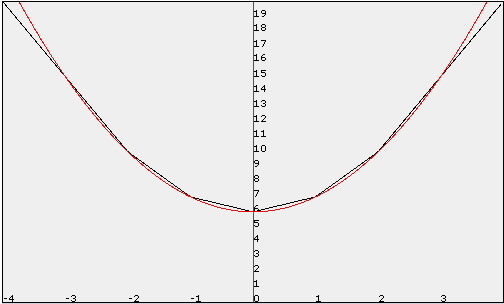 However, routine CAS use in the text enables students to investigate, recognize patterns, and make broader predictions about function behavior, while appropriately maintaining their focus on critical problem characteristics without losing themselves in algebraic manipulations that are explored independently elsewhere. Key Curriculm & Paul Foerster’s PreCalculus 3rd Edition has CAS! Key Curriculum Press released its 3rd edition of Precalculus with Trigonometry by Paul Foerster. What’s the Key difference? Our content is dynamic and relatable, benefiting both teachers and students alike. The book is marketed by Kendall-Hunt; click here for more information. Text written by a high school teacher for high school teachers. Genuine problems from the author’s real-life engineering experience. Chapters promote a flexible approach to help you meet state standards. The only high school textbook that integrates CAS (Computer Algebra Systems) in the teacher’s edition and online. Brand-new wraparound with Differentiating Instruction notes highlighting where students may struggle with concepts or language and how to help them. Chapter interleaf pages with chapter overviews and tips for planning and pacing. Reorganized chapters facilitate awareness of relationships between topics. Multiple representations of solutions to address students with different learning modalities have a chance to learn. Key elements are easier to find thanks to a redesigned four-color format. A strong focus on preparing students for Calculus. Special Problem Sets for SAT prep. Explorations to help kids build their own understanding. New calculator programs and data sets for TI-Nspire graphing calculators, TI-83/84 graphing calculators and Excel. Better technology integration with over 50 Sketchpad presentation sketches. Access to supplementary problems on www.keypress.com/keyonline.